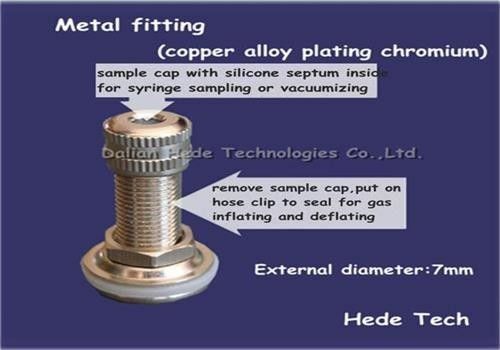 Metal fitting is made of nickel-coated copper alloy with 7mm outer diameter. The cap comes with a silicone septum for easy sampling with a needle. Remove the cap when perform filling gas sample or flushing the bag. The metal can be used in the circumstance that there is no corrosive inorganic gases or organic gases.